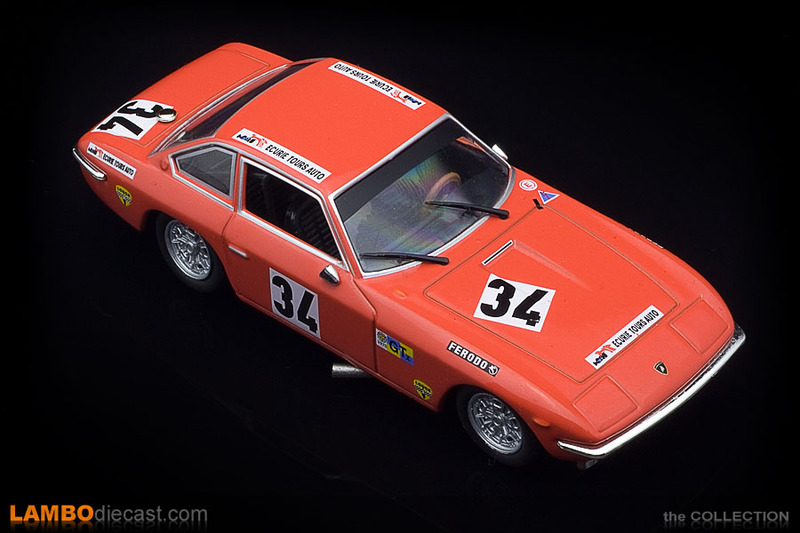 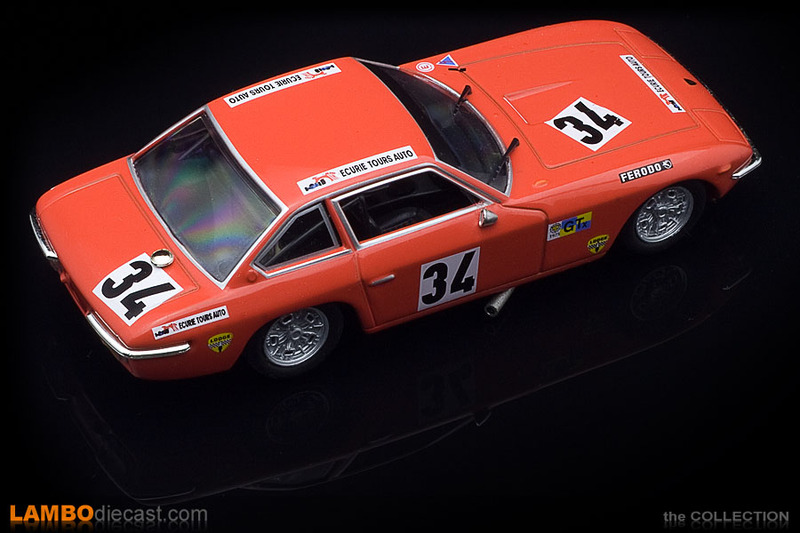 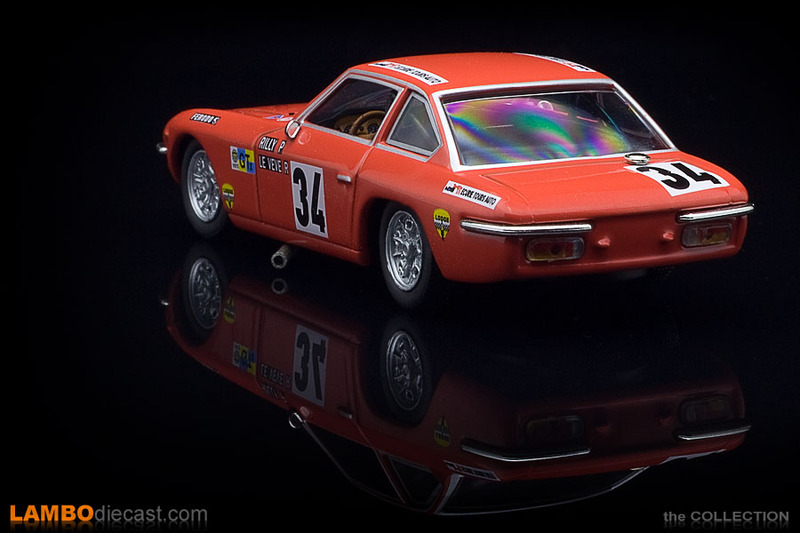 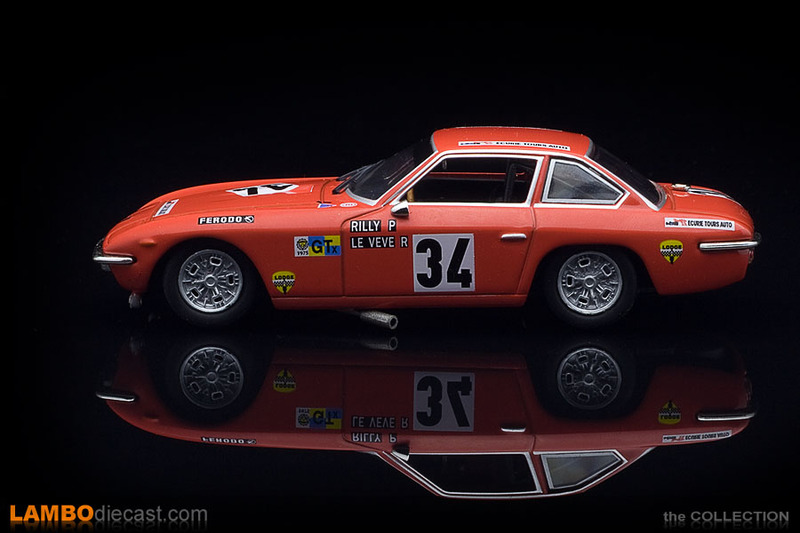 The Lamborghini Islero, or Jslero as it is called on this scale model, was, in fact, the successor the Ferruccio Lamborghini's first production model, the 1964 350 GT 2-Seater that received a larger 4-Liter engine and gained two small seats to call it the 400 GT 2+2 in 1966 ... both very rare and expensive these days, introduced in 1968, the Islero was a completely different design from the sensual 350/400 GT showing a more angular style designed by Mario Marazzi, who also had to build the new Lamborghini Islero, the new model was a style created in cooperation with Frederico Formenti, under the guidance of Ferruccio himself ... the Islero became known as the original vision Ferruccio had for his Gran Turismo. 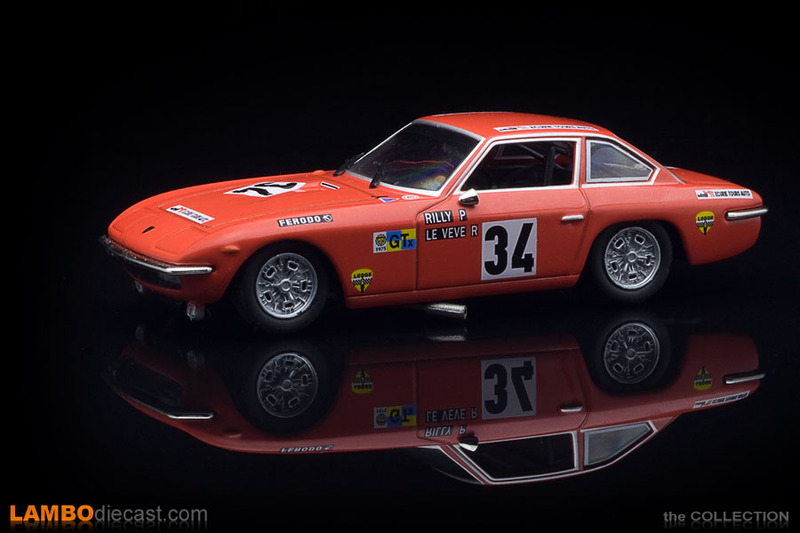 Note that the Islero was introduced together with the larger Lamborghini Espada, and while the latter would become the most successful model in Lamborghini history for a long time at over 1,200 units built, the Islero would only see 125 units leave the Sant'Agata factory until the Islero S (or GTS) took over in 1969 (who subsequently sold even less ... only 100 units made). 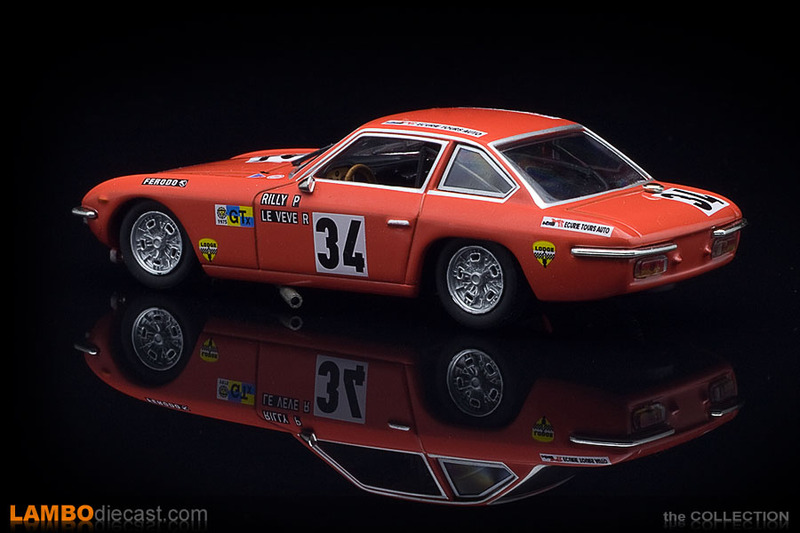 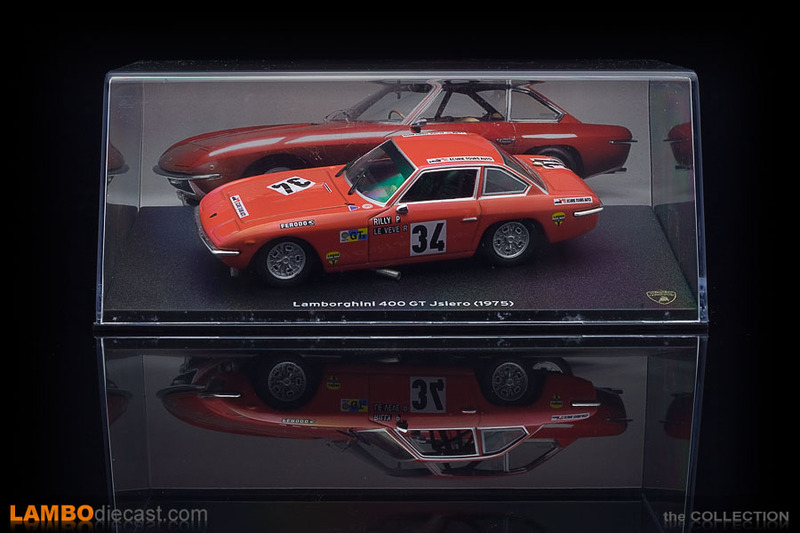 So what's going on with this 1/43 scale model of the Lamborghini 400 GT Islero from Ixo then, it shows 1975 on the plinth ... is that wrong? 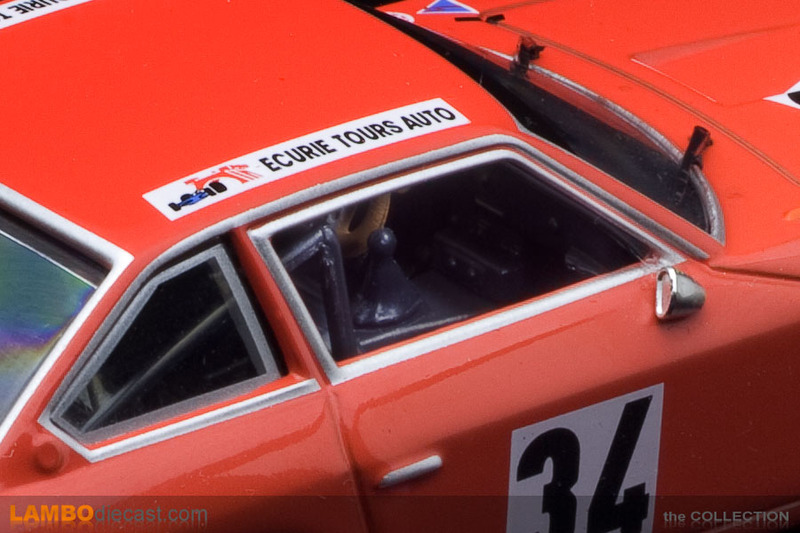 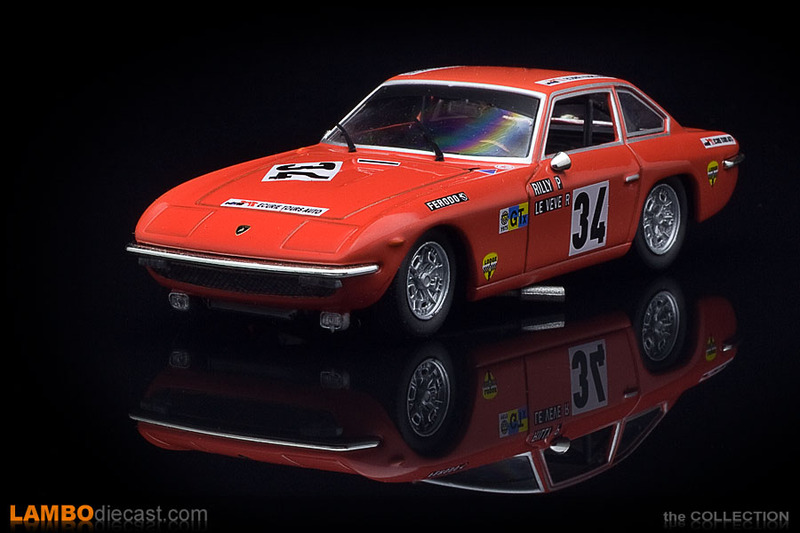 By 1975 the Jarama GTS 400 was in full production, the Jarama being the successor to the Islero ... and still the script on the plinth is correct, but it needs some explanation: for the 1975 24h de Le Mans an Islero GT with chassis number #6009 was entered in the 'GTX' or 'Production GT' category by a French car dealer, Paul Rilly, this car was painted Rossa Corsa and received starting number 34. 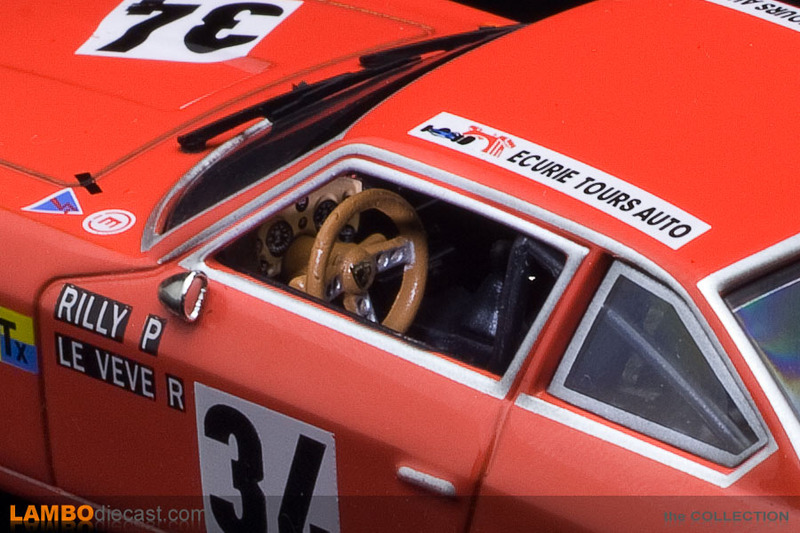 A roll cage was installed together with a 100 Liter fuel tank, racing seat belts, quick release straps on the engine cover, a special exhaust, different suspension, and special brakes ... during the final qualifying laps the Islero sadly crashed into the guardrails, the best lap time she managed was 5:28,00 which wasn't enough to qualify ... so she was withdrawn from the race and never started in the end. 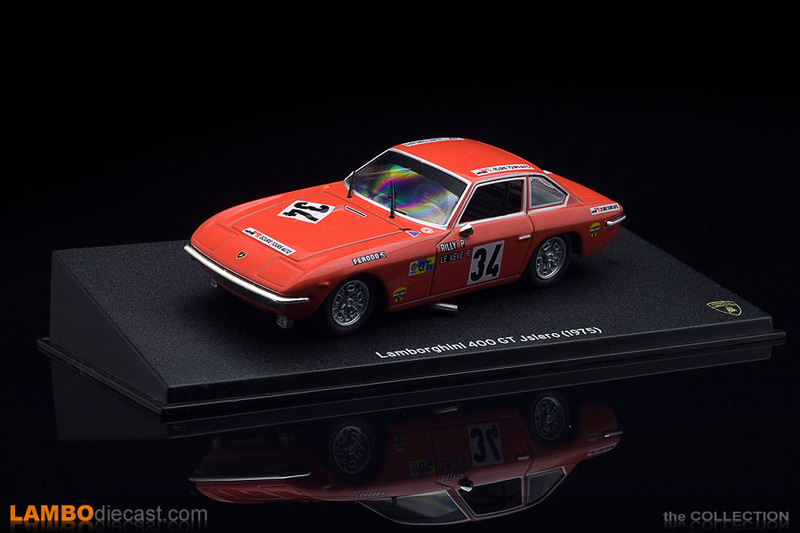 And Ixo made a scale model replica showing that exact, one of a kind, version of the 1968 Lamborghini Islero 400 GT, that was prepared for racing in 1975 ... and I love it, for only €25 this model comes with a nice interior, complete with roll-over cage, details on the dashboard, what seems to be all the correct decals on the outside ... and I absolutely love those side mounted exhausts.